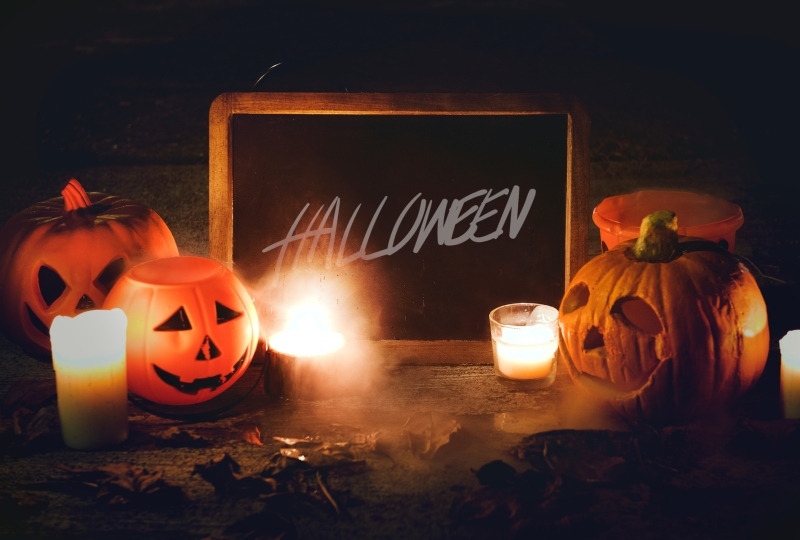 Halloween is a fun time of year and most people are either hosting or attending parties. This may be because you do not want trick-or-treaters, for the costumes, for the food or even for talking to old friends. These ideas could change your Halloween parties. 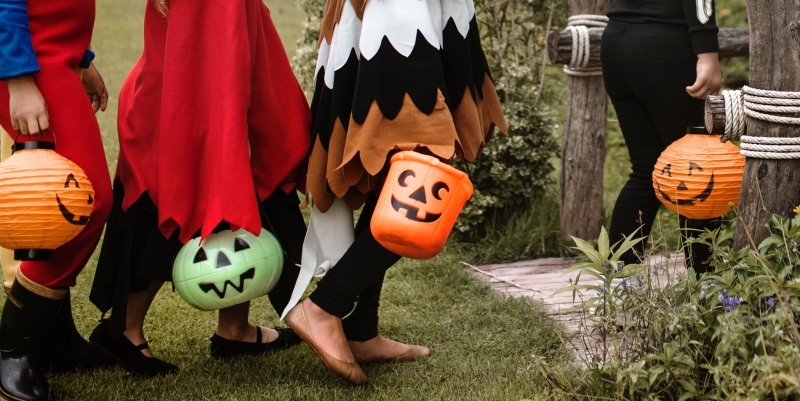 Costumes are important for parties and trick-or-treating. Here are some ideas for them if you can’t think of any original ideas. For the murderer, they put fake blood all over casual clothing. For the ghost, wear white and paint your face white. Dress up as Romeo and Juliet using references from the internet. You then can make Romeo hold a fake bottle of poison and Juliet with a fake dagger through her chest (because that was their deaths) if you want to. First, for Harley Quinn, you need blonde hair tied in ponytails. Now you need to dip-dye the bottom of the left ponytail red and the right blue. Now you need the make-up she wears which can be found on YouTube because honestly, I could not ever name any item of make-up. Now you need a baseball bat. Finally you need her outfit which is a white shirt that says Daddy’s Lil’ Monster, a red and blue jacket (red on the left and blue on the right), red and blue shorts in the same style as everything else, hole covered fish net tights and black shoes. Now for the Joker. You need a green crazy wig. You also need make-up for the joker so you would need to watch another video. For clothing, he wears a white button-up, a purple blazer, purple formal trousers and black shoes. For this, you will need regular vanilla cake pops or whatever other flavour you would like and black orange and green icing. First, make your cake pops, recipes can be found in cookbooks on the internet or on any other sources you use. Then cover it in orange icing. You also need to ice on a face and add a strip of cake, that you frosted green. For this, you will need strawberry punch, water and a glove. First, you put water in a glove and freeze it. When it comes out, it should be completely frozen when you take it out. While you do this, get your strawberry punch and put it in a jug. The hands go in next and they will look like hands! Now you have a bloody punch! For these, you will need brown sugar, any flavour of cookies and grey and black icing. First, you need to cut your cookies into a gravestone type shape. The cookie needs to be thick enough that it can stand on its own. Next, you need to ice the whole cookie grey. The back is necessary but colouring the sides is optional. When it dries, you now need to write RIP at the top. Not so far at the top that it curves though. Now, when you put it on the platter/plate, sprinkle a generous amount of brown sugar in front of it. First, bend the glow stick so they crack. Be careful because the cracking is glass breaking. Next (this is a step that definitely needs adult supervision), cut the very top of the glow sticks off and gently bang the sides of the glow sticks against the sides of the jar. Paint should splatter onto the sides. Now you need a fake spider. Place it in your jar wherever you want. When it is dark, you should have a jar that glows in the dark. You will need Styrofoam, orange yellow and white glow in the dark paint and string. First, cut the Styrofoam into a rounded triangle. You need different amounts of these depending on how much garland you would like. Now paint you candy corns. If you do not already know, you need white at the top, orange in the middle and yellow on the bottom. Finally, poke holes in all of them and thread through your string. Now you have wall decorations for Halloween!